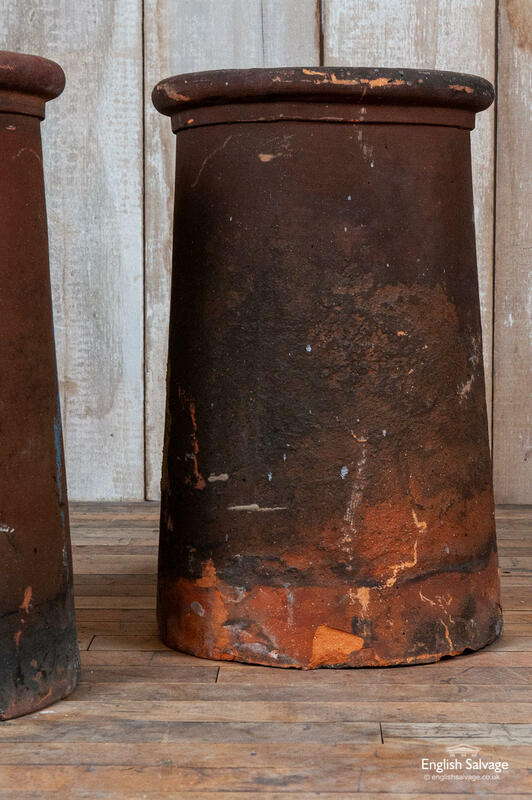 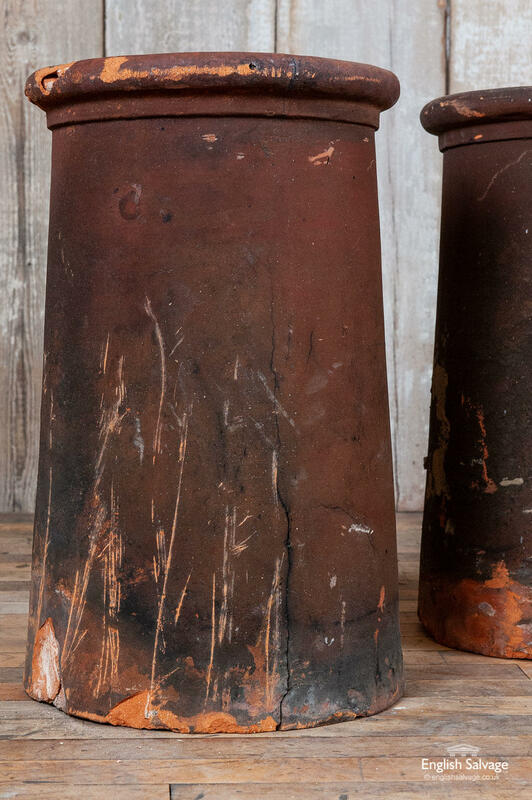 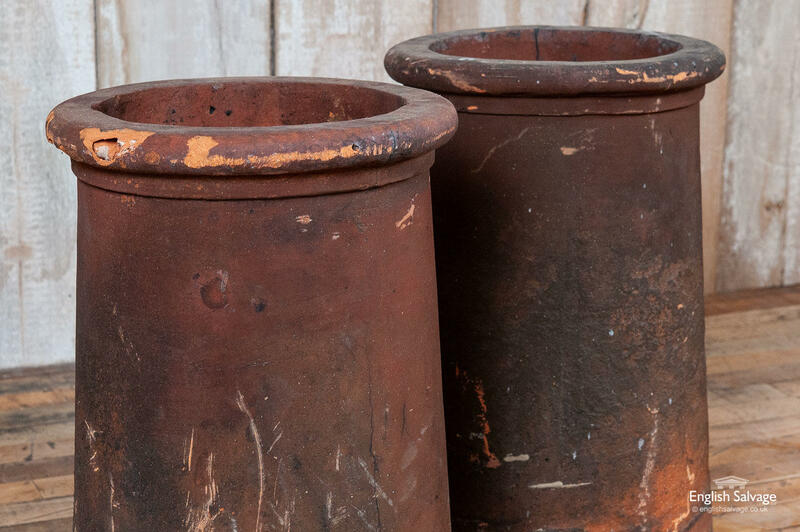 Two antique tapered roll-top chimney pots in terracotta with age-related chips, scratches and wear and tear. 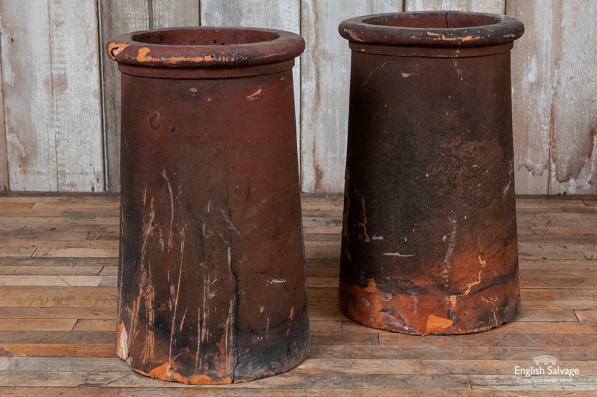 They are elegantly shaped and the smoke patina is evidence of their hardworking past. 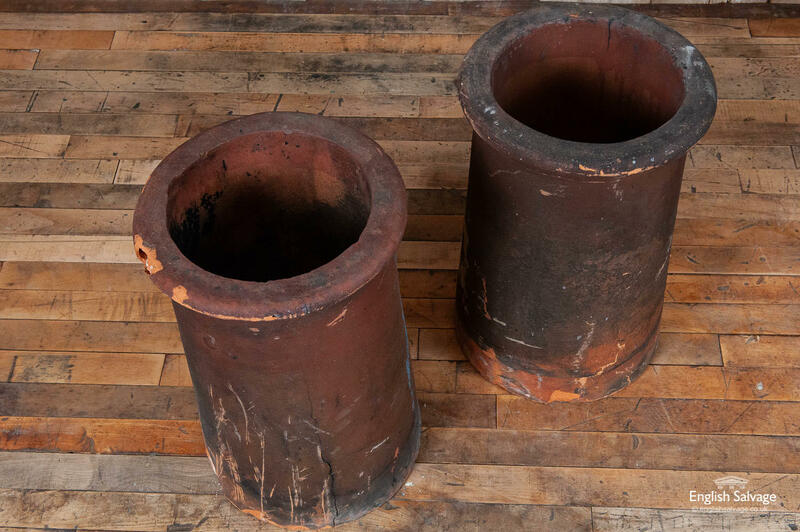 Overall dimensions are given below and external diameter at top rim is 30 cm.